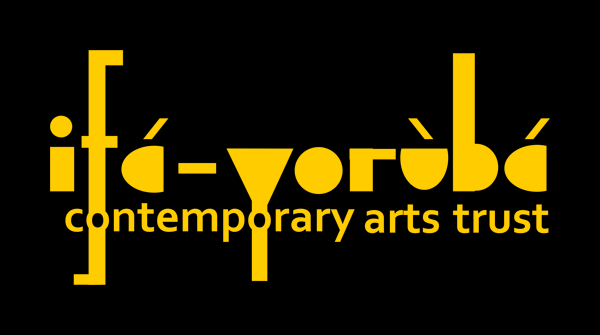 Following a successful workshop in 2017 with drummer Ray Prince, the Ifa Yoruba Contemporary Arts Trust are proud to be bringing back this unique learning opportunity for musicians and music lovers of all ages. We’ll be joined by a group of inspirational young people who will be putting all their newly learned skills from the ‘Re-imagining Birchfield’* workshops, into practice by performing with Milton at the popular Grosvenor Road Studios in Handsworth, Birmingham. Friends and relatives are invited to provide support and encouragement, so we’ll also have a great family feel to the event. 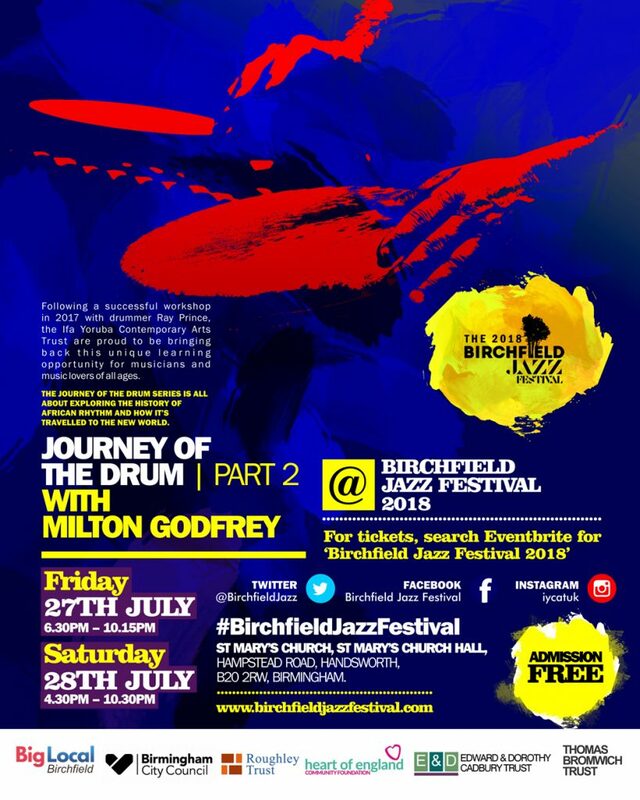 Milton, who will also be performing at this year’s Birchfield Jazz Festival in July, will be exploring the history of Jamaican music through a selection of memorable children’s songs and expressive ring dances during the session. All the fun will be kicked off with an introduction by percussionist and project co-founder Lekan Babalola. The Journey of the Drum series is all about exploring the history of African rhythm and how it’s travelled to the new world – we hope you can join us. 16 Grosvenor Rd, B20 3NP. This is a free event open to everyone, but donations towards our young people’s project are most welcome. You will need to book in advance in order to reserve a spot as places will go quick – visit https://journeyofthedrumpart2.eventbrite.co.uk for further detail or search Eventbrite for ‘Journey of the Drum Part 2’. *If you’re aged between 8 – 12 years old or have children who may be interested in taking part in our ‘Reimagining Birchfield’ Young People’s Art project, search Eventbrite for ‘Reimagining Birchfield’ or visit https://re-imaginingbirchfield.eventbrite.co.uk.